The DNR Law Enforcement Division is looking for self-motivated men and women with a good work ethic and a desire to protect Georgia’s beautiful natural resources and to provide a positive public safety presence for our citizens. Are you looking for a challenging and exciting career, where you can enjoy the outdoors, serve the public and work on a team where you are valued and appreciated? Have you ever considered becoming a Game Warden ? 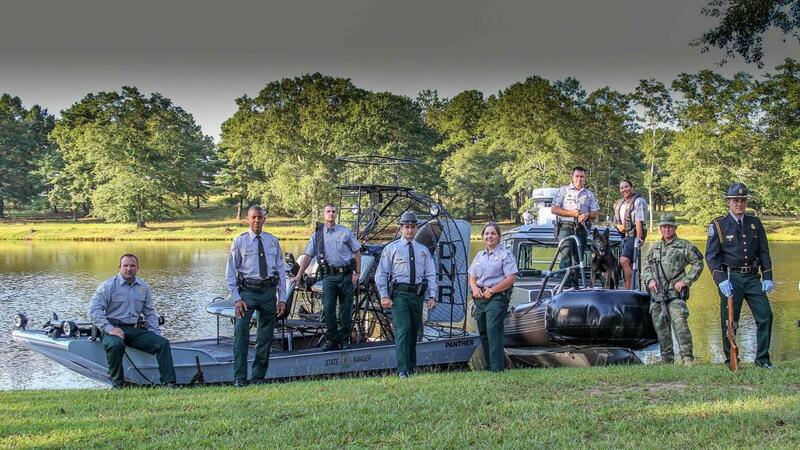 A Game Warden is a Peace Officer certified by the Peace Officer Standards and Training (POST) Council and is employed by the Georgia Department of Natural Resources to enforce wildlife, environmental, boating and other State and Federal laws, rules and regulations. Patrols are made by boat, aircraft, ATV and on foot. Game Wardens conduct hunter and boater education classes and informative presentations for interested groups concerning hunting, fishing, boating, anti-littering and environmental laws. Click here for "Becoming a Game Warden" flyer.